New Delhi, being the country’s capital city, has perennially been in the spotlight, to a large extent, for its historical significance, several shopping destinations, enthralling nightlife or the alarming proportions of pollution. It is the operational hub of different industries like IT, petrochemical, real estate, agriculture and many more. With the current frenetic pace of lifestyle, health disorders and ailments like diabetes, asthma, high blood pressure etc. are increasingly becoming common with every passing year. Hence, it becomes imperative to engage in regular health checkups to monitor the overall health and wellbeing. A complete body checkup usually involves diagnostic tests that are performed in some of the Best pathology labs in Delhi to examine the general state of the body. The consulting doctor may likewise recommend blood glucose test to assess blood sugar levels and diabetes, a urine test to determine a probable urinary infection, ECG to evaluate the client’s heart condition or an X-Ray to detect bone injuries or fractures. The best-in-class diagnostic centers constantly Endeavour to offer the finest quality reports to the customers with 100% accuracy standard. To guarantee this, utmost care is taken up in every single step of the testing methodology starting from registration, collection and transportation of patient samples to testing and finally delivering the reports. Most of the leading pathology labs in Delhi have the infrastructure of ultra-modern and elaborate systems of equipment developed with the latest technological innovations. They operate at supreme efficiency levels to concentrate more on pre-analytical stages so that the examination and subsequent analysis and reporting are done on correct samples collected from the customers. To ensure this practice, phlebotomists are meticulously trained to educate and guide patients in writing their names on sample collection test tubes, fill in handwritten patient registration forms so that whenever required, a patient can visit the lab, detect their sample on their own and have it examined in their presence. For Blood tests in Delhi, all diagnostic centers, irrespective of their degree of eminence, make use of primary tubes (tubes in which the blood samples recollected directly from the patient) for putting the samples on a test bed. 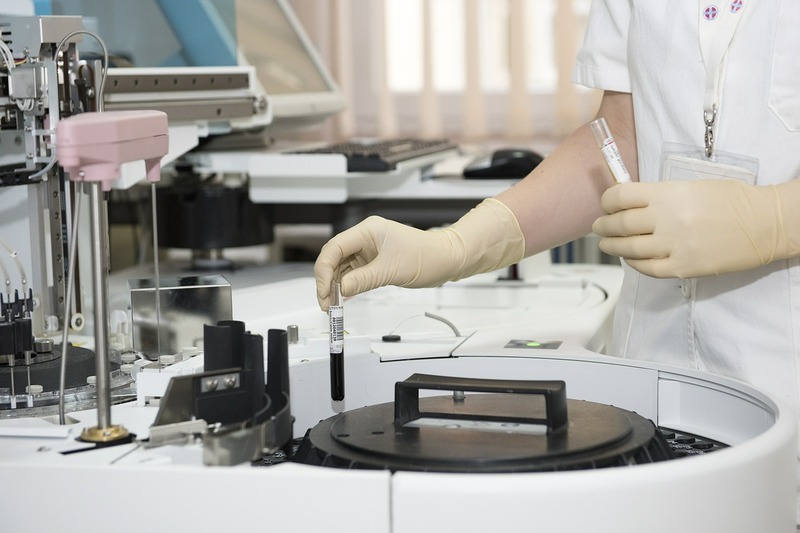 The samples are then dispatched to either an in-house or external Blood Testing Centers. They are scrutinized thoroughly and sometimes iteratively (in case of severe abnormal signs). The analysis and observations are prepared in structured report formats and delivered online on the company websites or a manual visit within a stipulated period of normally 24-48 hours. Best pathology labs and research centers in Delhi understand the varying needs and demands of the patients and accordingly keep themselves in absolute readiness to offer the best and agreeable services. In light of the request of many clients, especially senior citizens and high flying executives, who have either no ability or time to physically visit the labs for testing, top diagnostic centers have ushered in the distinctive concept of Home Health facilities. To avail of this service, a patient can inform the diagnostic centre and make bookings for the tests. Trained personnel are sent to collect samples or perform examinations like X-Rays, ECGs within the comfort of the home. Each of these prominent diagnostic centers employs full-time staff comprising of qualified pathologists, trained technicians and quality assurance managers with extensive years of valued experience and expertise in Hospital Management. Dr.Lalchandani Labs is one of India's leading pathology lab offering complete and reasonably priced health checkup packages over the span of 32 years. The lab is licensed with the profoundly respected National Accreditation Board for testing and Calibration Laboratories (NABL) affirmation.